Great For Display Bases, Product Risers, Crafts, Engraving, etc. 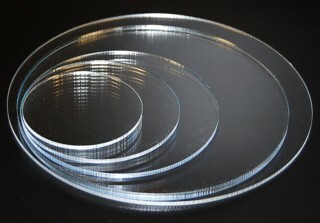 Circle4 is a Clear Acrylic Display Circle. Our Durable Thick Round Circular Pieces Can Display Your Product, Be Used as a Base or Can be Engraved Elsewhere. These High Quality Display Circle All Have Smooth Polished Edges for an Upscale Look.